You’ve got to feel sorry for poor AMD, as the American chip maker has been playing second fiddle to Intel for more than a decade now. Actually, while its FX line of processors are competitively priced and perform quite well, they never came close to the i5s and i7s of this world, which blow them out of the water in most tests. Things look like they are about to change, though, as AMD recently announced that its new line of Ryzen processors would be hitting shelves in the first quarter of 2017 (March 2, if recent rumours are to be believed). And not only will these new chips rival Intel’s when it comes to performance according to AMD, but are likely to be far more affordable than those of the giant chipmaker too. And now a leaked price list (see below) which emerged on wccftech.com shows that this will indeed be the case, and if these prices prove to be true, then Intel’s dominance in the processor market could be coming to an end… This is because the cheapest Ryzen model will retail for only $119 US dollars, a processor model (R3 Pro 1100) which will be competing with Intel’s lower-end i3s and other dual core processors. What’s more interesting, though, is that the top of the line R7 1800X model will be selling for $499 if this leaked information proves to be true. This could be a serious blow to Intel, as their current top of the line i7 is far more dear and currently retails for more than $1000 US dollars, and presumably AMD’s chip will be able to deliver a similar level of performance. 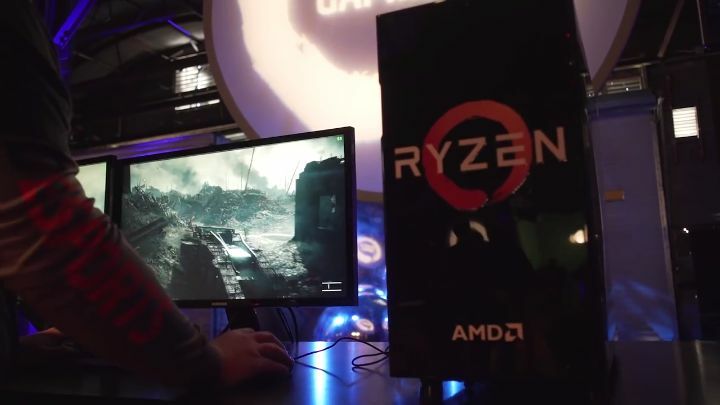 Also, AMD’s R5 1500 processor appears to be competitively priced at about $229, if it is able to offer similar levels of performance to the likes of Intel’s i5 6600K. Of course, these leaked prices might turn out to be wrong in the end, and it remains to be seen whether the upcoming Ryzen CPUs will truly offer performance comparable to Intel’s at far lower prices. It will be interesting, then, to see what Intel’s reaction to this latest threat from AMD will be, but what’s clear is that things are about to get interesting in the processor market this year for sure.